Are There Elements of Consumer Direction in the Proposed Indiana Medicaid Expansion Plan? These claims greatly overstate the case. HIP has little in common with consumer-directed health care models. The people in it are not allowed to shop for care. They are required to use the services of a single managed care provider. Their individual POWER (Personal Wellness and Responsibility)accounts are pre-funded with $1,100 in government money. They must make low monthly premium payments to their accounts, but because the size of the payment is means tested, they have relatively little of their own money at risk, and premium payments were waived for about 23 percent of enrollees in 2012. Aside from monthly premiums, the only out-of-pocket cost current HIP members face is a copay for unnecessary emergency room visits. It ranges from $3.00 to $25.00. Even the claims that HIP reduced emergency room usage are open to question. HIP 2.0 attenuates the disincentive created by emergency room co-pays, and adds to administrative costs, by waiving all emergency room co-payments if a patient has first contacted a nurse hotline. After that, the copay is $8 for the first unnecessary visit and $25 for subsequent ones. 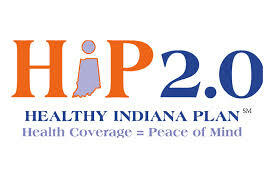 HIP 2.0 requires more co-payments. Supporters defend this by claiming that it encourages consumer involvement and personal responsibility. Unfortunately, the people originally hired to evaluate HIP do not agree. One of the reasons that consumer-directed health care coverage has been successful in controlling costs without harming health is that people are spending what they regard as their own money. Because HIP and HIP 2.0 have so few real incentives to encourage people to make wise health care decisions, their emphasis on tracking small payments and individual accounts may unnecessarily increase administrative overhead.